Offical music video watch here: http://www.youtube.com/watch?v=FCpZdBgm9uU Headswitch is a Moldavian Rock band formed in 2008 by Guitarist Jin Berekelea and Vocalist Roman Siloci. The stylistics of the band range from powerful riffs influenced by many Alternative, Post-Industrial, Metal and American Rock bands to a wide range of electronic sound influences from Trance Music, D’N’B, Glitch, IDM, Noise and Dubstep Music. Headswitch began their journey through music with Bass Player Eugene ”Spaceman” Oleinik who fitted right in with the boys and from the first rehearsal they knew that he would be the one to fill in the gap. Then, through Roman’s acquaintance they’ve met up with their first guitarist - Denis Caniscev who played with Headswitch for about a year and a half. He was soon replaced by guitarist Mark ”Cutsman” Perlov when he left the band for personal reasons. Headswitch thought of adding more electronic sounds and scratch noises and riffs to their music. Thusly, Dima ”Bishop” Odainik joined the band adding turntable textures to the heart of the band. The final part of this project was to find a suitable drummer for their gigs. They’ve tried to work with many drummers from the Moldovan music industry; the most suitable and reliable drummer for the part was Dmitri Berdea. Headswitch started playing in a full and strong line-up at different club shows in their home town Chisinau. They’ve played a multiple number of shows in clubs like GL, Booz-Time, Meteora, 50/50, etc. Also Headswitch played at local festivals like Vadul Lui Woodstock, Muchhausen and Rockhausen festivals. The band also played a festival in Kiev “Chaika” and their performance received good review by the festiva’s organizers. Headswitch played numerous shows in their country with bands from Romania, Russia and Ukraine, won second place at the GBOB preselection and received a warm welcome from the underground audience. 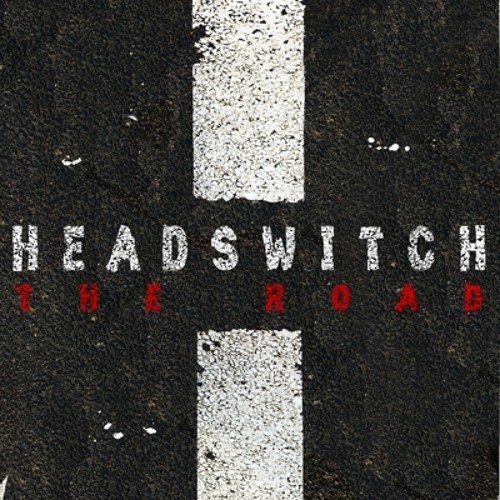 In 2010 Headswitch started working on their debut album “The Road” and the first video for the single “Block” was released in March 2011. With the completion of the album Headswitch released it holding a concert in the album’s behalf at the “Eugene Ionesco” theatre. The release date was 11.03.2011.